San Diego Association of Governments Executive Director Gary Gallegos announced his retirement on Tuesday, August 8, after overseeing the agency for 16 years. His announcement is made amid allegations that the agency mislead voters about the projections of a sales tax for transportation. 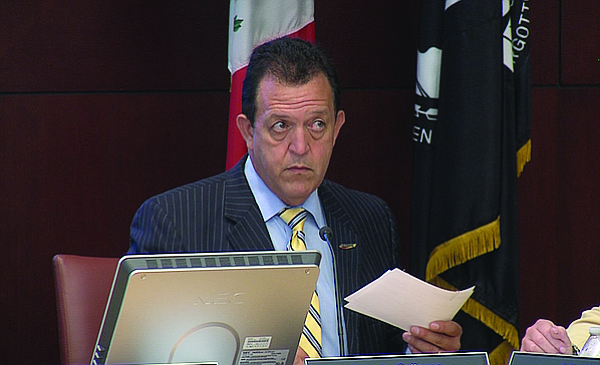 According to a statement released by SANDAG, Gallegos was planning on retiring for some time and his goal during the few last months was to help his team through the independent examination process of their forecasting efforts of the TransNet tax. The agency responsible for planning and developing transportation projects fell under scrutiny in the last year after Voice of San Diego, a local online news outlet, reported that SANDAG’s projections for TransNet, a half-cent sales tax measure, were possibly flawed. San Diego voters approved TransNet in 2004, which according to SANDAG’s forecast, would have roughly generated $14 billion in revenue over forty years. In 2016, Measure A, a new half-cent sales retail sales tax that would have generated $18 billion in revenue, was endorsed by the Board of Directors of SANDAG but failed to pass at the polls. These projections were inflated due to a incorrectly inputted third-party data during the 2004 projections, according to an independent report conducted by Hueston Hennigan. Allegations were made that staff and board members were aware of the flaws in the projection but failed to inform the public that it would not bring in the predicted amount, and therefore reducing the amount of transportation projects. The independent study presented to the board on August 4, revealed that staff members were instructed to hide electronic documents and to delete documents after questions were raised about the projections. According to the report in 2016, then-Director of Technical Services, Kurt Kroninger, had staff save all files related to revenue projections into a folder named “Hana Tools,” which was a way to avoid public records requests. Kroninger said the use of Hana Tools as storage was a way to keep their project confidential and only in the hands of a small group of staff members and he added that either Gallegos or Deputy Director Kim Kawada knew about it and were comfortable with the location, according to the report. The report also identified meetings among Gallegos, Kawada and two agency lawyers, where staffers reported they were told to delete documents. According to the report, in an interview with Principal Research Analyst at SANDAG Clint Daniels, he said Gallegos had instructed them to delete documents every two week so that they would not get picked up by records requests and also had them communicate through phone calls or in person on the issue. “In addition, Daniels said that at one of the daily meetings during their search for the forecasting error, Gallegos told them to stop communicating by email, and to instead use their phones or speak in person,” the report read. 1. Do you now believe that the projections of the revenues from the 2004 TransNET and the campaign for Measure A were not accurate? 2. If so, when did you become aware that the revenue projections were not accurate? 3. Series of times that you have served on SANDAG. Only 12 of 61 board members responded to our request for comment last week and three more this week. La Mesa Councilmember Bill Barber wrote, “Gary Gallegos did a great job managing the region’s transportation infrastructure. The City of La Mesa wishes him good luck in his retirement,” but did not address our questions. County Supervisor Ron Roberts’ office said this week that he only found out about the flawed projections after the 2016 election when the Board was notified. Roberts has served on the Executive Committe of SANDAG for serveral years. Gallegos led the effort to extend TransNet in 2004 and to date the program has invested approximately $3 billion, according to the SANDAG release. “Moving forward, with the Board’s support my intention is to work hard at keeping this organization focused on all of our very important initiatives and give the Board of Directors time to consider next steps,” Gallegos said in the release. Gallegos lead the agency since 2001 and before joining SANDAG, he was the District Director for Caltrans District 11.